Play all the VR titles your heart desires with the new Viveport Infinity unlimited VR subscription service. Ever look at all your VR games and think you just don't have enough variety? Need something new to play? Viveport has you covered. Viveport Infinity has officially launched, making it the first streaming service available to VR players in the industry. The "unrestricted" subscription service allows access to over 600 apps and games for members for just $12.99 or $99 a year. In celebration of the service's launch, two new Vive Studios games were released for Infinity: Skyworld: Kingdom Brawl and Rhythm Boxing. There are plenty of other titles to be found on the service as well, such as Angry Birds VR: Isle of Pigs, Apex Construct, and Slightly Heroes. Skyworld: Kingdom Brawl is a competitive, cross-platform VR card battler that you can get up to all kinds of magical mischief in. Rhythm Boxing lets you train with your personal trainers Emma and Thomas as they teach you how to build combos and box to the rhythm along with a unique soundtrack. 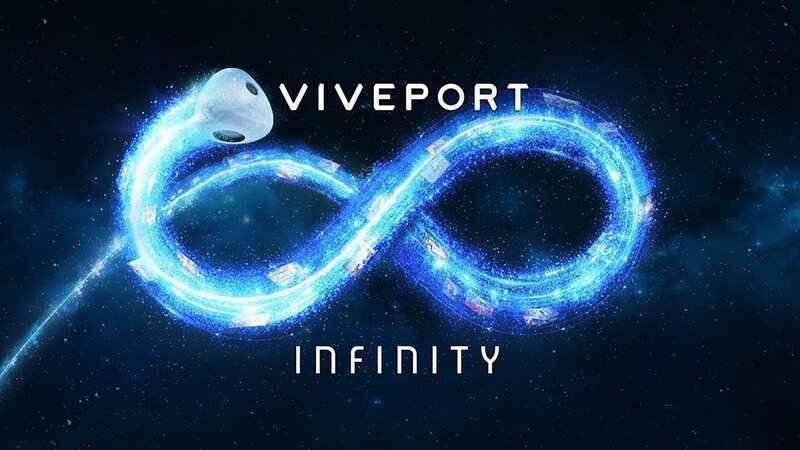 Anyone who's already subscribed to Viveport will find that their account has been bumped up automatically to Viveport Infinity as of today. You can go ahead and start going crazy testing all the cool new apps you've been missing out on now. Best of all, the five title per month restriction has been lifted, so you can try as many games as you like as much as you like until you settle on something you want to spend time with. Viveport Infinity memberships are compatible with the HTC Vive, Oculus Rift, and VIVE WAVE standalone devices. You also get special benefits and perks all year, like weekend deals, free game giveaways, and coupons you can use to purchase more cool VR games. There's also a sale going on right nowwith over 150 titles on the service on sale for all Viveport users in case there's something you want to own through April 7 with discounts up to 90% off. New users can also join with a limited-time hardware bundle. From now through April 8, all PC-based VIVE headsets come with a 12-month Viveport Infinity code. Now, we don't ever want to hear you talk about how you don't have anything to play again with your favorite virtual reality headset. what is this Rhythm Boxing game?